brochure has been prepared with the intention of giving information on the history of the Company on which our experience is based, and at the same time, to show some of our recent technical advances in the Offices, Works and Sites. I hope that all our friends and customers will not only,find the contents of interest but will discover therein an image of the largest structural engineering Company in Great Britain moving ivith the new conditions of the twentieth century and constantly seeking ways to improve its service to the client. In 1892 was published a modest volume of “Roof Designs and Tables of Safe Loads on Iron and Steel Rolled Sections”; the first edition of the Redpath Brown Handbook. Cowan had many other ideas, but his main problem now was to find the capital to implement them. He saw his opportunity in 1896, when a group of influential Midland businessmen approached him with a proposition that he should undertake the manufacture of the Stirling Water Tube Boiler. A new company—Redpath Brown and Company Limited was floated with a nominal capital of £100,000; the wholesale ironmongery was disposed of to-two employees in the department, and a new factory, with both structural and boiler shops, was built in Edinburgh. 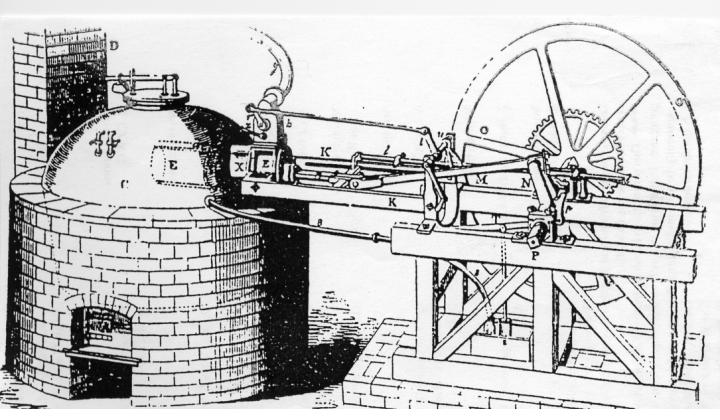 Machinery in the works was driven by electric motors. Nasmyth introduces steam hammer. First beams in iron rolled in France by Zore. J. Redpath dies. J. Marshall sole 18′ partner, Robert Stevenson builds Britannia Tubular Bridge, Menai Straits. Crystal Palace at Great Exhibition in Hyde Park, London. Bessemer patents his method of steel- making. Rankine publishes his first “Applied Mechanics”. John Rennie completes Saltash Bridge, River Tamar. John Cowan apprenticed to Redpath 186 Brown. First successful Atlantic cable laid. J. Cowan becomes a partner 1886 Suez Canal opened. J. Cowan assumes control from J. 187 Marshall. Gilchrist &. Thomas successfully converts Cleveland Ore. Edison produces Incandescent electric lamp. James Marshall retires. 1881 Chas. Parsons patents steam turbine. Daimler drives cycle with internal combustion engine. Glasgow office opened 1885 Machinery installed at Edinburgh 1886 warehouse. Parliament introduces free elementary education. Redpath Brown publishes first Handbook. Redpath Brown becomes a Limited 1896 Company. Diesel perfects his engine. New Factory at Edinburgh with 1897 electric power. First completely steel-framed building in British Isles by Redpath Brown. Wright brothers fly heavier-than-air machine. New factory in London commences Establishment of British Engineering Standards Association, ,’New factory in Manchester. This innovation was so far ahead of its time that the Company had, perforce, to install its own steam-driven generator. Some years later a separate company was formed to carry on manufacture of the boilers. When this was eventually disposed of, Redpath Brown was able to concentrate on its main role as Structural Steel Engineers. The turn of the century saw a period of general prosperity and industrial expansion. The Company was constantly adopting new ideas in design, construction and erection. Cowan, as an enlightened employer, increased his wage rates and shortened the working week by starting his men at 7.30 a.m. (6.30 a.m. was the generally accepted time) and introduced a Workmen’s Savings Bank. Under his medical scheme, employees and their families had the services of a doctor (with medicine supplied) for one penny a week. Later he was to pioneer the principle of paid holidays. Demand was now beginning to overtake the capacity of the industry and deliveries were becoming protracted. It was then that the Company adopted its policy of laying down large stocks, to safeguard its tradition of always honouring delivery promises. The decision, taken in 1900, to establish a branch in the London area began the expansion programme which was to ensure the Company’s lead in the field of structural steel engineering. 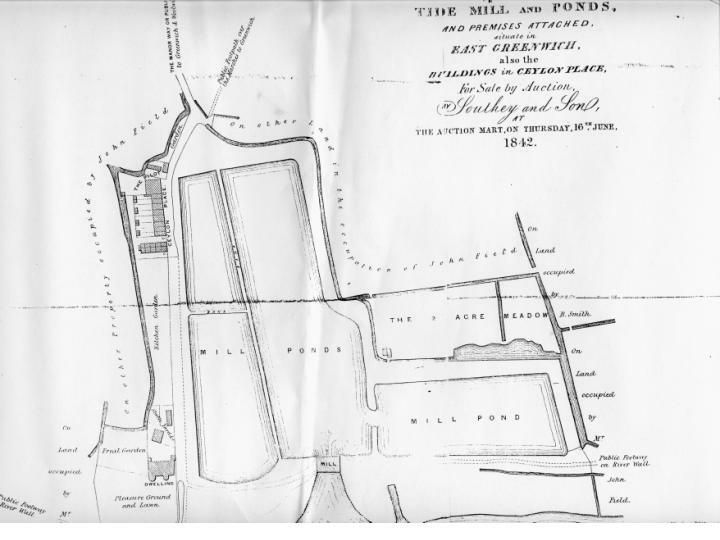 A riverside factory was built on reclaimed land at East Greenwich: production commenced in 1903. That same year a Manchester firm, The Structural Engineering Company, was acquired; new workshops built on the Trafford Park Estate were in production by 1904. The first completely steel-framed building in the British Isles was a furniture store at Stockton-on-Tees, designed and erected by Redpath Brown & Co. Ltd. in 1900. In the next few years a number of similar structures were successfully completed (among them store buildings in Edinburgh and Belfast), and by 1911 the Company had constructed, for a Manchester office building, a framework containing over 7,000 tons of steel, the first 2,000 tons of which was erected in 8 weeks! To meet the needs of this rapidly growing business, the capital of the Company was increased to £250,000. By now, the British Engineering Standards Association had introduced a standard for rolled steel beams, channels and angles, and the Company had issued a new and enlarged edition of its Handbook based on these standardised sections. Within a few years another edition covered, in addition, the Regulations of the London County Council. Interrupted by the four years of World War I, the Company continued to expand, and in 1917 the nominal capital was increased to £600,000. Two years later, the ordinary share issue was brought up to £350,000, which, with the £175,000 preference shares, made a total issued capital of £525,000: at which figure it still stands. Turnover was now substantial, competition was very keen, and the Company was having to look further afield for its business. The export market developed so rapidly that, by 1922, a specially-built factory near Glasgow was working to capacity. 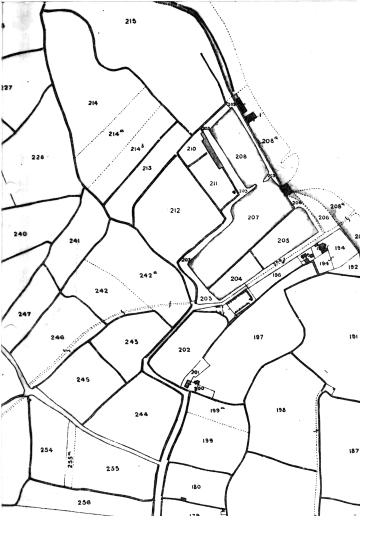 It was at this point that the Directors were approached by Bolckow, Vaughan and Company, who wished to acquire the whole of the ordinary share capital of the Company. The proposal was accepted and the arrangement worked to mutual advantage for the next seven years. In 1929, Bolckow Vaughan merged with Dorman Long and Company Limited, and Redpath Brown became one of the Dorman Long Group of Companies. That same year Sir John Cowan died, after almost 70 years of unremitting service to the Company. Speech and music first transmitted bjf radio. Institution of Structural Engineers founded, Bleriot flies English Channel. George V. Capital increased to £.200,000. 1910 Ford Motor Co. produces ‘Model T in Manchester, England. Production of Munitions for World War I. Authorised capital increased to £600,000. Ordinary share capital brought up to £,31:0,000. Total capital issued to 25,000. New Factory at Glasgow, principally i921 for exports. Ordinary share capital acquired by 1922 Bolctow Vaughan &. Co. 1929 Merger with Dorman Long &. Co. Ltd. Sir John Cowan dies. Whittle patents his gas turbine for jet propulsion, British Standards Institution formed. Edward VIII. George VI. British Standards Institution issues B.S.449—structural steel design. 1939/45 Military production at all factories. Elizabeth II. 1959 Dorman Long introduces Universal sections. During the 1939/45 period all factories were heavily engaged in supplying to the Armed Forces products (such as a small fleet of tank landing craft) not normally associated with structural steelwork. The years since the war have seen a steady expansion of all branches of the organisation. Within the various Works streamlining of the production lines has been achieved with the introduction of modern plant, including automatic welding, electroslag welding, multi-spindle drilling and shot-blasting. Modern buildings require very large pieces of fabricated steel to be shop assembled prior to delivery. To meet this requirement heavy cranes have been installed at the various Works and pieces up to 50 tons in weight are handled as easily as small units. On the building sites a similar metamorphosis is in evidence, with tower cranes-supplanting the traditional scotch derricks-feeding pre-fabricated units to the site welders, working to erection programmes analysed by “critical path” methods. But probably the greatest advances have occurred in the design offices. Following the introduction of Universal sections in 1958 and high yield steel in 1962, the Company’s engineers, using new methods of design and analysis available with computer programmes, are now offering steel frame designs of greater efficiency, flexibility and economy, than ever before. Yet another edition of the Redpath Brown Handbook incorporating these latest advances, is in course of preparation. Its early publication will demonstrate the determination of the Company to remain in the fore-front of the structural steel industry; its proud history being its inspiration for the future. TODAY, as a result of its continued expan- sion, Redpath Brown is the largest structural steel fabricating company in Great Britain, having a capacity of 100,000 tons per annum. Its staff of nearly 3,000 employees is engaged in the design, fabrication and erection of steelwork for every part of the world. Exports are the life blood of the United Kingdom’s economy, and Redpath Brown plays its full part. Currently steel fabrications of all types are being sent to twenty-one overseas countries, and visits are frequently made by senior executives of the Company to our overseas agents and offices. Over the years the name Redpath Brown has become principally associated with the larger con- tracts—power stations, automobile factories and the like. In fact, the Company does obtain a considerable proportion of its trade from smaller contracts such as steelwork for shops, schools, churches, and all types of storage sheds and workshops. No job is too large for the Company to handle and no contract too small to receive individual attention and service. When a lane has lost its real or imaginary association with dog roses, honeysuckle or other of nature’s frivolities it rapidly sinks in the public’s estimation and must be renamed. The change from Marsh Lane to Tunnel Avenue and Riverway was reasonable but you could hardly call the old Marsh Lane picturesque it was in spite of its dirt and ditches for more interesting than the deadly dull roads, which have replaced it. At the top, on the left, Robert Govan a Scot, kept a grocery and a baker’s shop and made money. On the right was the Ship and Billet with the horse trough. Below this stretched some small houses inhabited, I should think, entirely by Irish. This little colony probably came into existence soon after the terrible potato famine of 1846-7 when many thousands of starving peasants came to England. Our charwoman, Betsy Bowen, was one of these. The ten million grant by the Government did not go far. I collected the rents of two small houses on the right of the lane Mrs. Sheehan was a saintly old Catholic revered by all the lane. When she died her coffin lay in the little back room for some days. A calico catafalque had been erected over the coffin and tiny white tape crosses pinned thereon. The tenant next door was not a saint. He didn’t keep clean or sober. That would not have made mattered in those days but he did not pay his rent which was serious. I had to put his furniture save the mark, into the lane. In the front room upstairs there was a wash handstand. A newspaper covered it. I took up the job bottomless and basin also bottomless. In a corner of the room there was a little altar. It was rather pathetic. The goods stood in the gutter untouched for about a fortnight when the Vestry bundle the rubbish into their yard. Now had this rubbish been in an English street it was house disappeared in a day. But it belonged to an evicted tenant and no one; boy or man, in Marsh Lane would meddle with it. Mention of the Vestry reminds me that a certain vestryman stated at a meeting that ‘Marsh Lane wasn’t fit for Presbyterian to go down’. Evidently Congregationalists were more sturdy for old Mr. Davies who lived at the end of the lane opposite the causeway tramped once or twice each Sunday to Maze Hill Chapel. Mr. Davies was the uncle of Sir Walford Davies whose aunt died in Blackheath some years ago over 100 years of age. The Davies house with the trees around formed a pleasant little oasis in the Marshes. A few trees still remain. Opposite the house is Bugsby’s Hole whether the river is very deep here I don’t know, but many years ago an old pilot friend of mine, rather more alcoholic than usual fell out of his boat and was drowned. As all know the land was then all market garden, but there were certain huts in which gunpowder or fireworks were made. Every now and then there was a ‘blow up’ and sometimes a death occurred. Worse however was the low fever some ill-natured people called it ‘starvation fever’ that generally killed a few in the winter. Winter was a dreadful time among the garden workers. AN ALTERED GREENWICH ROADWAY. MORE RECOLLECTIONS. It is pleasant to find that our father, Mr. Davies, is still remember in Greenwich, though it seems strange that he should then have been thought old, as he was only 72 when he removed to Dulwich. But as he had tramped ‘the lane’ for over 40 years he certainly was ‘an old inhabitant’. His house was an interesting old place. It was originally built by a Mr. Hughes as a pleasure house for his parties and dances. The hall was paved with large square of black and white marble and its ceiling was painted by Sir James Thornhill after the style of his work in the Painted Hall (the whole canvas of this ceiling came down bodily in the night during our residence there). The house was built on piles and under it were brick arched cellars perfectly dry like those under the College. Mr. Hughes was apparently rather a reprobate for the story goes that on Sunday evenings he sat on the window sill of the upstairs ballroom dangling his legs outside and blowing a horn to disturb the service held in the Thames Church Mission ship, the swan, which was moored just opposite the jetty. Between the garden and river was the right of way footpath to Woolwich and watermen using the jetty and footpath would lean over the hawthorn hedge gazing at the primroses which covered the grassy bank inside and call to us children’ don’t you pick those Missy, they are the prettiest things we ever see’. The field beyond were then meadows with cows and buttercups and several in a line with the back of Wheatleys farm were full of cowslips. They were separated by hedges of pink and white hawthorn and the larks sang over them all day long. 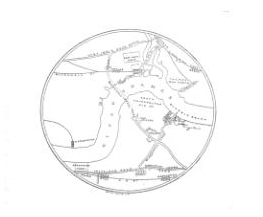 The market gardens were then only on the upper part of the Marsh, really the lower, for toward the river the ground rose several feet so the pilot.doc and Ceylon Place were free from the damp and the consequent fevers which were prevalent nearer Greenwich. The ditches had willow trees here and there on their banks and being tidal were never stagnant. Mr. F. C. Hills, owner of the chemical works of which Mr. Davies was manager fitted up a large room over Mr. Chaney’s shop as a working men’s institute with a library and weekly and monthly papers and magazines and the service held there on Sunday evenings was conducted by various friend’s (Mr. Thomas Hodges a deacon of Maze Hill Chapel was a frequent and welcome ‘supply’). Fortnightly ‘Penny Readings’, concerts, lectures etc were given here for several winter seasons beginning about 1867. Among the speakers were George MacDonald, Mr. Hale White (then door keeper at the House of Commons, the father of ‘Mark Rutherford’) W.C. Bennetts, the poet, The Rev Benjamin Waugh, and others. Miss Anna Williams, the well-known soprano, made her debut there (and soon afterwards sang before Queen Victoria, who presented her with a gold bracelet). To this concert a gentleman famed for his love or practical joking, undertook to conduct a party of Greenwich friends. He led them by cart tracks over garden ground and across several ditches, telling them it was the only sway. So they reached the concert very late, very hot and very muddy. The custom was for performers or speakers and their friends to adjourn afterwards to our house for coffee and sandwiches (and talk) before facing the lane again. I do not remember any of these gatherings being prevented by bad weather. In later years the Thames Church Mission, the ‘Swan’ being removed, used the Institute room. In the great snowstorm of January 1881 the lane was impassable until a gang of men had dug a road through, making snow walls of 6ft or so in height and as we walked up it, that afternoon one man shouted ‘make way mates, and let the beauties of the valley pass’. But for the greater part of the year the walk down the old lane was pleasant as well as interesting and at its end our beautiful home with its gardens and trees and the ever changing panorama of the river made ample compensation for the times of difficulty. No doubt, like many other old Greenwich residents I read in your last weeks issue with great interest the article by JEW under the headline, which with your permission I should like to amplify. The baker he mentions, Robert Govan, I knew well. A somewhat portly man noted for his hot cross buns also for the very impressive gold chain he wore so tightly stretched across his figure that he used to boast no one could steal it. One day a ragged urchin entered his shop for a penny bun and asked Mr Govan to tuck it under the back of his coat as he feared the other boys outside would steal it. Mr Govan kindly leant over the counter to do this relaxing the strain on his watch chain which the boy deftly removed with the watch. To ask Mr. Govan the time was anathema for some time after this. The members of the Irish colony mentioned by JEW were nearly on employed upon Messrs. Sheppard’s and Messsrs Roberts’ farms and market gardens, extending from the river to Westcombe Park, most of them suffered with rheumatism, ague and low fever. No doubt owing to the dampness of their dwellings and their working on the marshes. Wakes were frequent and kept up until h departed was perforce buried. My father who employed some hundred of these Irish asked one whose daughter had died some time back whether she had been buried yet to which he replied ‘Begorrah, no Surr, she’s as sweet as a nut yet’. At one wake I recall the calico catafalque caught fire, the house was burnt ands the corpse prematurely cremated. With all their trials and vicissitudes the Irish were as usual a very humorous and cheery set. When sprats were in season an itinerant Irish vendor of this savoury fish used to perambulate Blackwall Lane calling out what sounded like ‘Spratted eels’. As a boy I could not understand what these piscatorial freaks could be but I discovered it was his method of calling his customers attention to his wares by shouting ‘Sprats, you devils’. 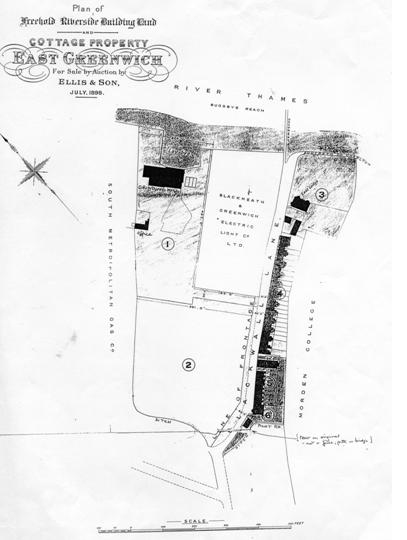 Mr. Davies who lived at the end of the lane was the manager of the factory adjoining his house in the riverbank and many times have I walked to Maze Hill Chapel with him, the Rev, Benjamin Waugh being the then pastor. With regard to the huts in the marshes – these were used for manufacturing fireworks, not gunpowder and unfortunately explosions used to occur occasionally. 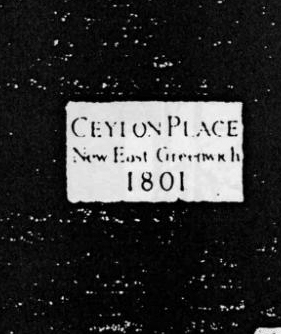 Loss of life was however minimised as only one, or at most, two girls were employed in each hut, Mr. Dyer was the proprietor of this business and lived in a detached house opposite Napier Villas at East Greenwich, just at the rear of this house was Mr. Wheatley’s Farm. Mr. Wheatley owned the old service of horse busses running from Greenwich to London, these were superseded by the horse trams about 80 years ago.